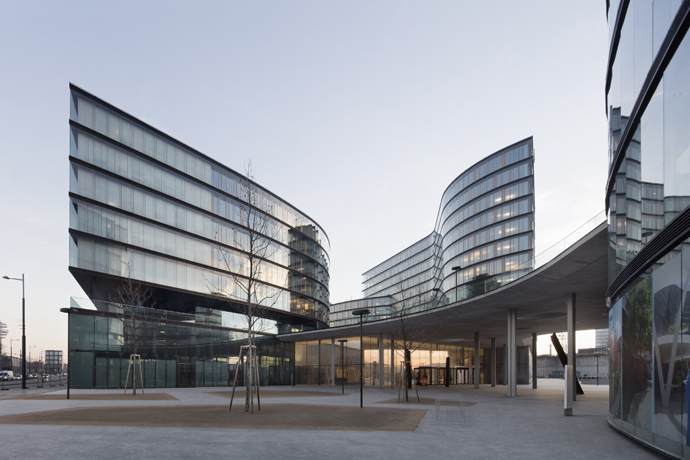 The new building of the Erste Group in Vienna is a spectacular complex featuring a double facade, where the outer glass facade protects the wooden windows from weathering. 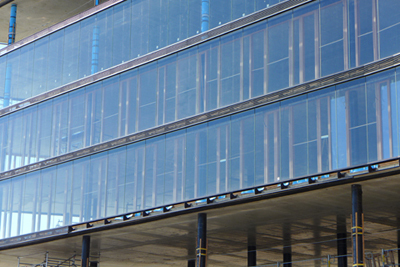 An important design feature of the new building near Vienna’s main station is the glass facades, revealing the wooden windows behind them separating the offices from the outside. This is a double facade, where the outer glass facade protects the wooden windows, fronted by a shading system, from the effects of weathering. The wooden frames were required as an ecological component to obtain sustainability certification, as were the controlled ventilation system and wooden furniture for the 4,500 employees. According to window manufacturer Katzbeck, architects Henke Schreieck commissioned the custom-designed windows for this project that were then subjected to various tests for air permeability, sound and noise insulation. The manufacturer partnered with the HFA (Holzforschung Austria) (Austrian Forest Products Research Society) in Vienna. 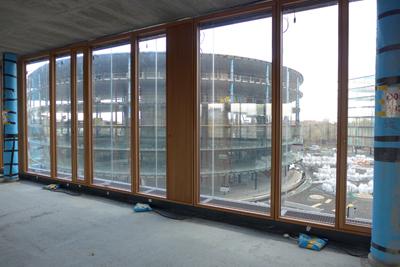 The total 7,321 window frames (in oiled larch) measuring 2.40 m to 3.40 m high, were delivered according to building progress. The glazing was mounted into the frames on site by a steelwork fabricator and the frames then installed into the buildings. Due to the curved facade almost all windows had different dimensions. Every office has controllable, room-height ventilation openings. 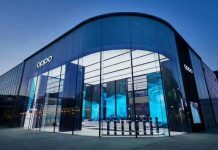 “Initially, we planned an aluminium frontage,” said Peter Schober, Head of Construction Engineering and Windows Division at the HFA. Wood was the main contender due to the certification requirements. The builder initially had reservations about fire safety and the durability of wood. Ultimately, a joint visit to a bank building in Rosenheim featuring a wood facade managed to convince all stakeholders. What is special, however, is the position of the glass facade, which led to an unusual installation method for the windows. In this context, the HFA was responsible for the construction detail that made air-tight installation of the windows possible in the first place. 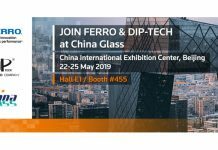 Because each window has connections at the top, bottom and sides, the manufacturer initially felt that it would be very difficult to ensure air-tight installation. Under these circumstances they could not rule out a build-up of moisture. A 1:1 sample within the scope of the HFA tests with the climate specified by the architect actually did reveal condensation and a penetration of moisture into the structural connection insulation. By modifying the installation with a kind of rear ventilation the build-up of moisture could be inhibited, which has proven effective in construction practice.